And when I say no one, I mean the mainstream audience, not the fanboys/girls. Because the latest ratings have come out and they are not very good, which is a shame as the show keeps getting better and better. So let’s take a look at the ratings for Agents of Shield. 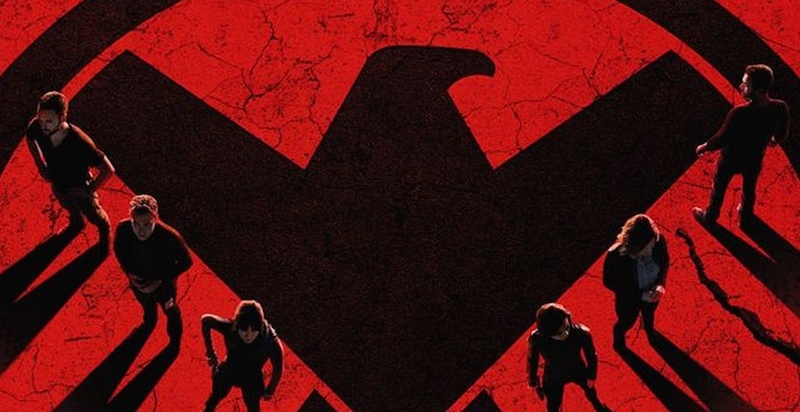 The latest episode of Agents of Shield (season 2 episode 12) dropped to a series low. The show garnered 3.8 million viewers with a 1.5 demo rating. To put that in perspective, those are the numbers ‘The Flash’ normally receives (the latest episode of The Flash had 4.08 million viewers and a 1.48 demo rating). And for The Flash, that is considered good as the show airs on The CW, where the average show has a hard time even getting 2 million viewers. Agents of Shield on the other hand, airs on ABC, and should at least be getting a number in the 6 millions. So what’s with the falling ratings? The ratings for the show had been on decline ever since the premiere of the show, and the reason for that was obvious. The show was marketed as a superhero show, with Iron Man and the Hulk in the promos. Obviously this show wasn’t a superhero show, and it was especially disappointing as the quality of the show wasn’t good either. But then things got better, and as the show starts to tackle the Inhumans story arc, the momentum of the show increases. However that still isn’t enough to attract the average viewer apparently. Right now, it looks like people aren’t interested in a spy show, that takes place in the Marvel universe, they want a superhero show that takes place in the Marvel universe. Which is why I believe Daredevil will do really well. However that’s on a completely different platform. 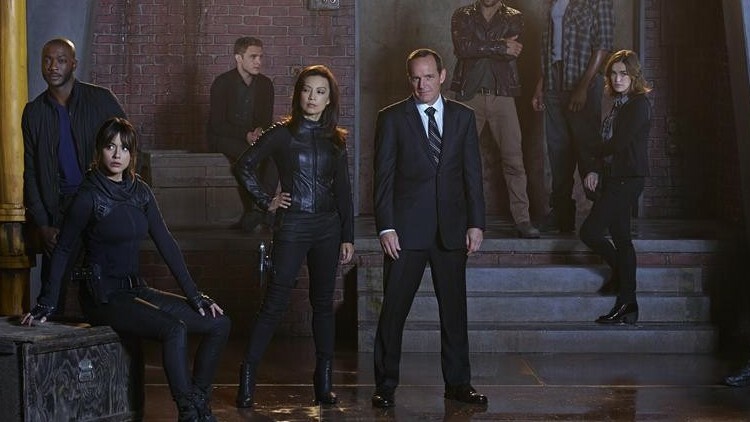 Agents of Shield is on network television, and needs to attract the masses. With the advertisements for the show, starting to show more of Skye and her powers, perhaps people might be a little intrigued and watch the show, but that might be difficult. Because for a new viewer to start watching the show from now, that would be confusing as heck. And that’s one of the problems with Agents of Shield. If you miss one episode, you wind up getting very confused. 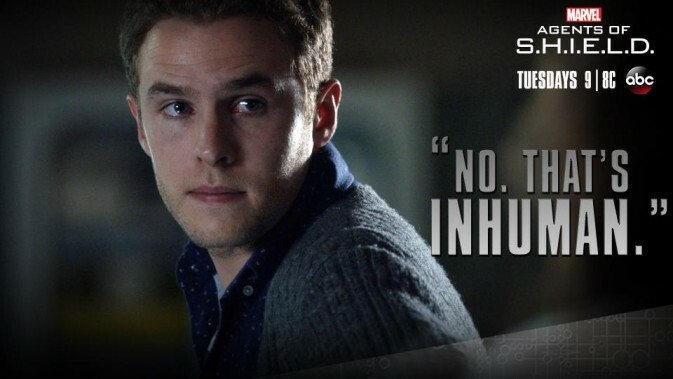 Sometimes there is a little too much going on in Agents of Shield. The reason why the last episode was so good in my opinion, was because it was very team focused. There can be times where there are too many different story arcs going on in the one episode, that it gets a little difficult keeping track. The upcoming Inhumans story arc is going to be a big one, so for a new viewer to jump in from the middle of season two, might find it too hard to follow. The good thing with Arrow and The Flash, is that they tend to have shorter story arcs, so it’s easier to jump on board. The story arcs are quite long and extensive in Agents of Shield now, which is great for a regular viewer, but not for a casual viewer. A casual viewer could put on The Flash without watching last week’s episode, and still have an easy and fun time watching the show. The same can’t be said with Agents of Shield, and that has a lot to do with the hundred characters on the show. I honestly don’t even remember who half the bad guys on the show are anymore. With all the twists and turns and the many, many characters, Agents of Shield is a great show for the regular, dedicated viewer, but not so much for the casual viewer. Which is probably why the ratings continue dipping. If the ratings keep going in this direction I would not expect the show to last longer than four seasons. Regardless, the show continues getting better, so hopefully after The Avengers: Age of Ultron comes out, Agents of Shield will receive some more attention, and get the ratings it deserves again. I have this theory that Superhero shows have a limited scope to begin with. Yes, AoS started with a high and lost a lot of viewers due to its weak first season, but there is always the possibility that the dropping ratings are at least partly related to the changing viewing habits of especially the younger audience. If you look at show, especially new shows, in general there is a noticeable decline in ratings all over the board. I wonder how many stream the show. It will also be interesting how the ratings will be when the Voice changes to one hour next week. It might settle comfortable at a decent number…I actually don’t get why it looses viewers now that it gets interesting. The second season in general has been pretty good so far. Unless people are angry about Trip, I don’t see any reason to stop watching at this point. Both AOS and agent carter will not maintain high ratings, but they have the disney machine backing them so theyll probably remain on air. Personally i prefer wb dc’s method, multiple t.v. universes. The writers of each show have creative freedom, and you don’t have to tune in every week to know whats happening in one universe. If you miss the flash or gotham so what, it has no bearing on titans or the upcoming supergirl etc. If you are a person who hates the snyderverse, you can skip the movies and choose a t.v. show. Dc fans have more options right now. But if AOS has flash ratings that’s a problem for the show runners for sure. Yeah I think AOS has a good chance for staying on air, just because it looks like they are using it to set up Inhumans for their future films. Yeah, I mean, I /want/ to watch AoS, especially for the episodes that tie into Captain America and that are leading up to the Inhumans. I might get back into it. I dunno. It’s sad to see the ratings drop because it’s been an amazing show since the second season began, but with such a story driven series, it might benefit from shorter seasons. Whatever the reason, if AOS is cancelled at some point, they’ll probably find something to replace it with. Hey will you be writing on the upcoming Daredevil series? I’m seriously hyped up about that show. It looks like it’s gonna kill and I’m hoping it paves the way for the rest of The Defenders shows… Netflix still haven’t confirmed who’s playing Iron Fist yet… Any suggestions? I think Cam Gigandet would be really good considering his martial arts background. Yes I will be, I’m so excited for Daredevil as well, I thinking it will be the best Marvel show so far. Hmm Cam is an interesting choice, I’m really loving Dan Stevens right now, and The Guest proved he has the action ability and charisma for that type of role. I totally agree that it looks like the best Marvel show so far. (I haven’t seen Agent Carter yet….any good?) Dan Stevens is a great shout to play Danny Rand…whoever they pick I’m sure will be a great choice….wonder how he’ll look too??? Haha I haven’t yet, but I’ll check it out!